Truffle brownies are the brain-child of Dorothy over at Crazy for Crust. 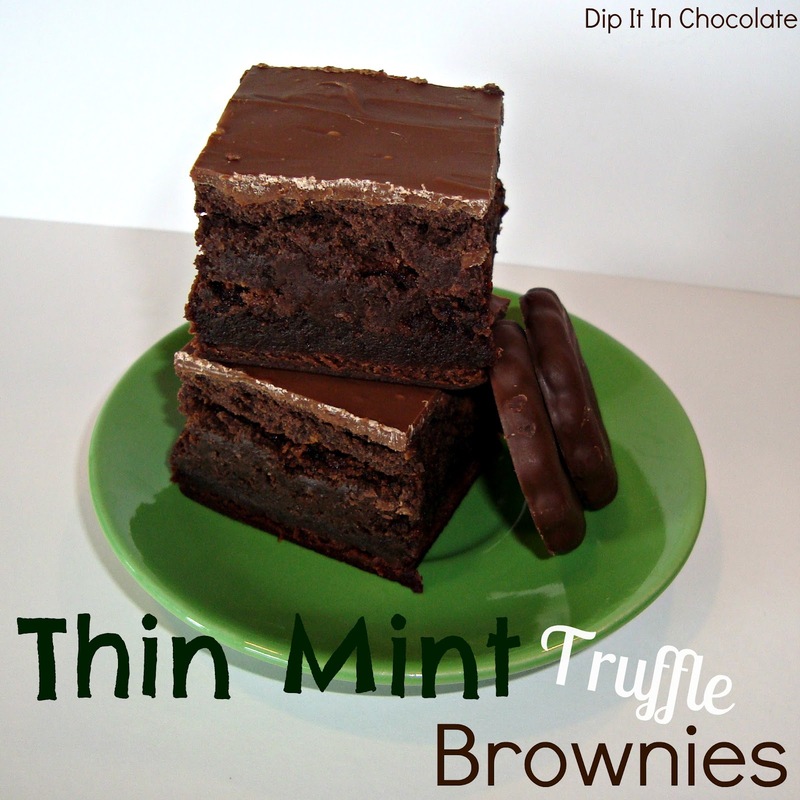 I decided to make a Thin Mint version the other day and it was the best decision I made this week. My mom can't stop talking about how these are the perfect brownie, so you can take that as a good sign. She's something of a brownie connoisseur, so you can trust her.